There are lots of opportunities right around the corner, to put your CFE training to the test…in a race day environment! WOD Notes–This workout is structured to provide less rest between reps, disallowing complete recovery between reps. Therefore, you must strive to keep from “red-lining” too early in the round in order to meet your paces throughout the workout. WOD Math–Fast pace=2k PR pace or faster; Moderate pace=2k PR pace + 8-10 sec/500m; Sprint pace=you guessed it…max effort! 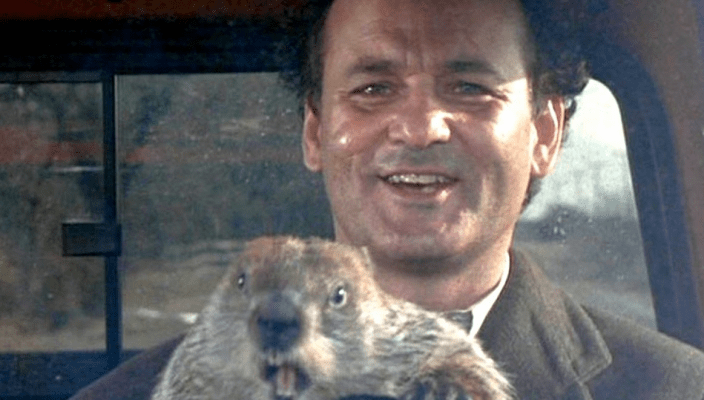 Punxsutawney Phil saw his shadow…which means SIX more weeks of winter! BUT???? Mr. Phil’s not exactly from Springfield, MO, is he? In other words, if the cold weather begins to break a bit…expect some time-trial testing coming your way very soon! 1. UPDATE: We’ve opted to postpone the mile time trials until the cold and inclement weather subsides a bit. We’ve been forced to the inside at least once per week lately, and we know many of you would prefer to have some more pavement time before we test again. So stay committed to the programming in the meantime–indoors or out. Its designed to keep your progress from stalling; and be ready for a mile TT coming up in the next few weeks! 3. ‘Like’ our Facebook page, ‘CrossFit Running’ for the latest updates, blog postings, and information.